In this week’s video from Panna, chef Paul Kahan demonstrates how to spatchock (or butterfly) a chicken for fast and easy cooking. Here, five delicious ways to cook a backbone-free chicken. Super-easy and flavorful, this chicken is simply rubbed with garlic, lemon zest and olive oil before being grilled until lightly charred. Rubbed with a Thai-inspired mix of red curry paste, coconut milk and brown sugar, this recipe is done in just 30 minutes. This is how Jacques Pépin does weeknight dinner. This juicy, crispy-skinned chicken does require a night of marinating, but it's ready to eat after just 40 minutes on the grill. 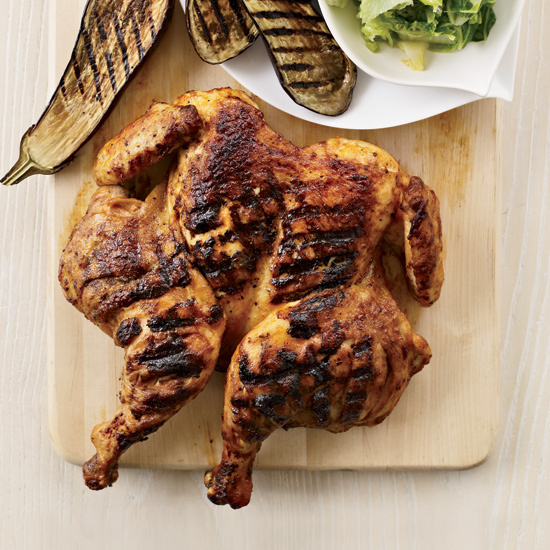 According to chef Jonathan Benno, butterflying a bird is the best way to cook it on a grill. “You get those nice grill marks and by the time the chicken’s got good color on both sides, it’s cooked,” he says.